The Royal School is a public mixed school located in Dungannon, County Tyrone, Northern Ireland. It was one of a number of 'free schools' created by James I in 1608 to provide an education to the sons of local merchants and farmers during the plantation of Ulster. 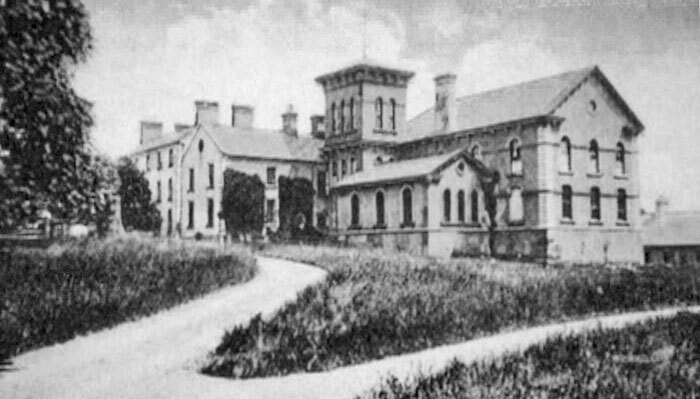 Originally set up in Mountjoy near Lough Neagh in 1614, it moved to its present location in 1636. It was founded as a boys school but became co-ed in 1986 when the school amalgamated with the Dungannon High School for Girls. It has four 'sister' schools, The Royal School, Armagh in Armagh, County Armagh, The Portora Royal School in Enniskillen, County Fermanagh, The Cavan Royal School in County Cavan, and The Royal and Prior School in Raphoe, County Donegal. The original intention had been to have a "Royal School" in each of Ireland's counties (James I Order in Council read, "that there shall be one Free School at least appointed in every County, for the education of youth in learning and religion.") but only five were actually established, the schools planned for other counties never came into being. These schools provided an English style education to the sons of landed settlers in Ireland, most of whom were of Scottish or English descent. 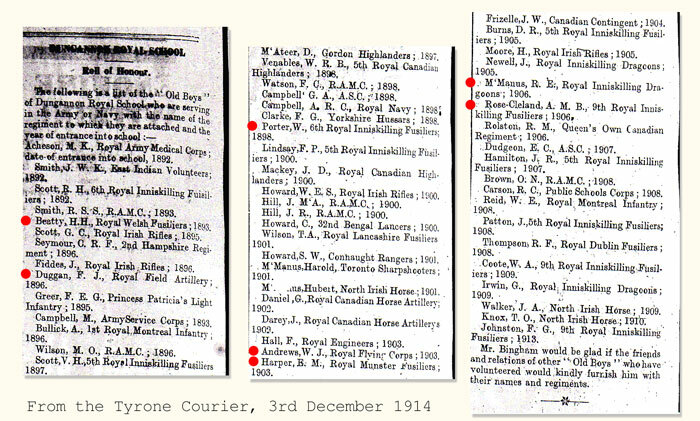 The school's Roll of Honour was the main source of who served and died in the two Wars. 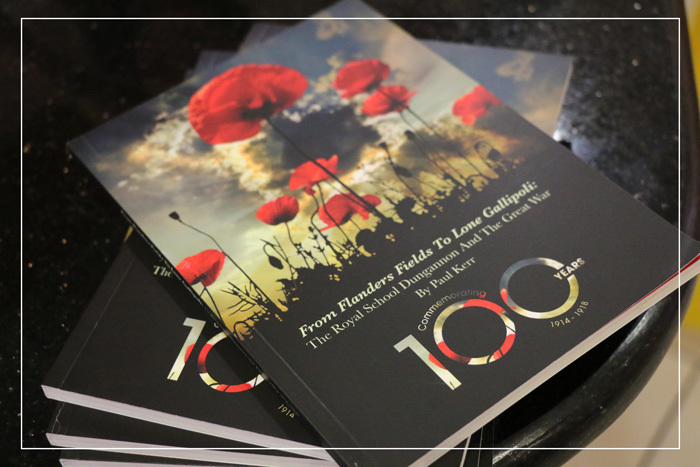 However, in 2014 a book was published by Paul Kerr of the Royal School Dungannon called "From Flanders Fields to Lone Gallipoli". This excellently researched book relates the history of the RSD pupils who served in the armed forces during the First World War. It includes information about some 200 former RSD pupils, including detailed biographies of the 37 men who gave their lives during the conflict. The book is available from the Royal School Dungannon, priced at ten pounds.